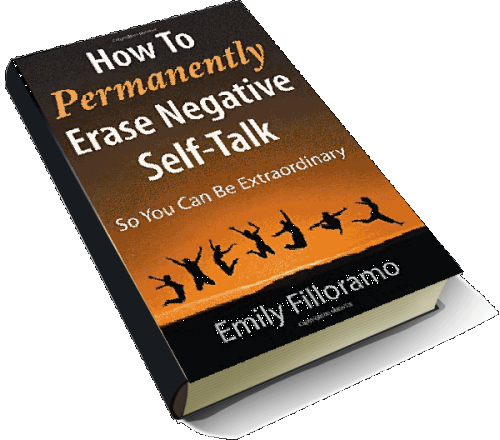 This week we had some great talks with author coach Emilly Fillorama about her book "How to PERMANENTLY Erase Negative Self-Talk So You Can Be Extraordinary" .Self talking makes a great impact upon results that we produce in our lives . According to her , your business and your professional life will only grow to the extent you invest in your personal growth. Addressing to her own story of ups and downs she says "The Universe conspired and purposely gave me painful experiences for the evolution of my soul. I finally made “lemonade” out of the “lemons” of the first 49 years of my life (I’m 52 now)." Says Emilly Fillorama "I was given the gifts of my wounds so that I can heal from them and become ALIVE. So my j-o-b is to help you come home to your true self so that you can shine brilliantly as the real you instead of the version others expect of you. Additionally,I am sick and tired of watching people live ordinary lives when they can be extraordinary. I am sick and tired of watching people charge up their debt-ridden credit cards HOPING that the next diet or the next possession (or the next love of their life) is finally going to make them happy, whole and fulfilled. I’m here to help you erase your fears and get out of your own way so you can rise to the top and be one of the game-changing superstars that are alive and actualized. Stay tuned for talk show with guest later this week.